Your skin will become radiant and shimmer in beauty. You will become youthful in your appearance and elegant with healthy glowing skin. 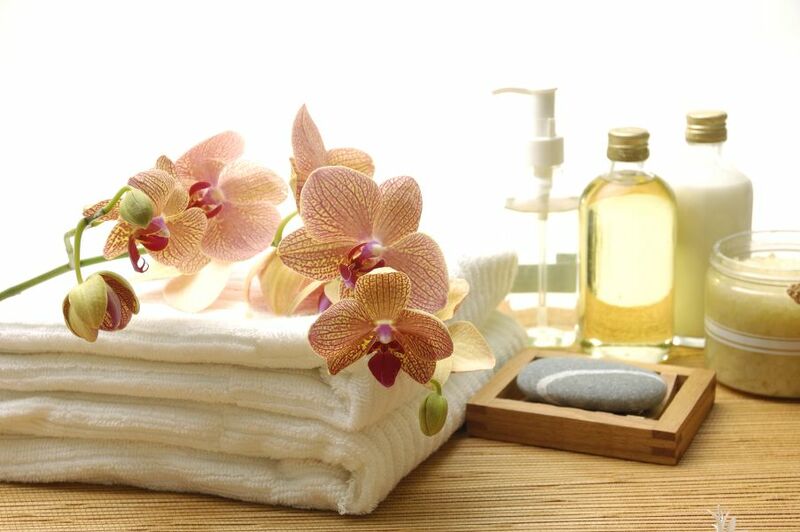 Soothing therapeutic facials are a true luxury. We use pharmaceutical grade products. Jan Marini Skin Care Line won the Nobel Prize in 2009 for their science and physiology for her innovativeness of the technology to change the skins cells. Facials are customized to meet your skin care needs. They include two cleansing, twenty minute massages on the face and decollate. Two masques determined based on your needs. A relaxing hand, foot, shoulder and neck massage. Indulgent paraffin dips are also included. This is our Signature Spa Treatment. Smoothes away fine lines and wrinkles. With this intense exfoliation system, you will see more youthful appearance. It is also perfect for acne skin. It has the ability to break up stubborn cycstic glue like substance in the pore. This extremely nourishing mask contains vitamin C, D, A & E and DMAE complex which firms and tightens the muscles under the skin. It is a cocktail of ingredients that dramatically improves the firmness, texture, resiliency and evens out the skin tones – a true treat for any skin type. Utilizing cutting edge technology using a form of retin-A, without the side effects. Treats aging, photo damaged and acnegenic skin. Includes a cleansing, exfoliating scrub, 20 min massage, masque and hydrating lotion. Leaving the back with beautiful glowing skin. We start by scrubbing the body down, which helps stimulate circulation and increase blood flow. Then we remove the scrub with scented hot towels leaving the skin feeling incredibly soft. We follow this up by massaging the body. This relaxing and refreshing experience is about 90 minutes and costs $99. Pair this with a mini facial for just $50 more totaling $150. $65 for 55 min, Zap those zits away!! Includes two cleansings, enzyme mask with steam and high frequency machine for 10 mins for excellent lymphatic drainage. Helps even out the skin tone, inflammation, and those pesky little zits all over the forehead. This is for you. *Novalash…for the eyelashes that nature must have given you. STUDIO SIX the SALON & SPA, having been in Gig Harbor for many years has become a Gig Harbor icon. We are committed to our community and we are locally owned. STUDIO SIX the SALON & SPA has established itself as a well respected Gig Harbor Salon. Our commitment and determination has resulted in being the “BEST in SERVICE SALON”, winning Best Spa in Gig Harbor in 2008. Located Uptown Gig Harbor we offer a connection to fashion and world class service. The owners, Shawna Shelton and Nicolette Hooper, are Gig Harbor locals who vow to be in the relentless pursuit of the “WOW” client experience. Shawna Shelton & Nicolette Hooper Of STUDIO SIX the SALON & SPA Great Tips and Hints On How to Obtain A High-quality Service In Gig Harbor WA. It is important to take care of yourself because it is what greets the world and you want to look your best. It’s also important to take care of your skin because it is what greets the world and you want to look your best.